You can eat brussels sprouts raw. In a salad. Whenever I eat a boring iceberg lettuce, tomato, and onion salad drowned in a heavy, fattening dressing I know it’s not healthy. But I’m choosier now and I know that traditional salads are really just full of fat with very little nutrients. 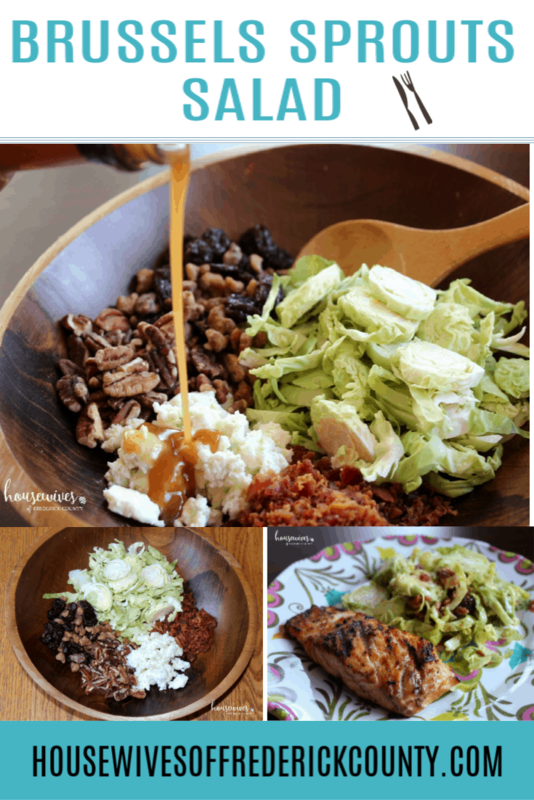 Nowadays, the whole idea of what a delicious, healthy salad looks like has changed for the better! 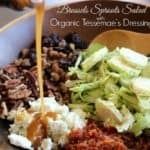 Not only are salads becoming healthier and more satisfying, but salad dressings are totally stepping up to the salad plate and making it count as part of a healthy eating regimen. Well, I happen to LOVE brussels sprouts! As matter of fact, they’re my favorite vegetable to eat, not just because they’re tasty and satisfying but also because they super healthy! Here’s an article from Cooking Light’s website detailing Exactly How Healthy Are Brussels Sprouts? Coupled with the fact that brussels sprouts are low in calories and have anti-cancer properties, they’re also a great source of fiber, Vitamin K, Vitamin C, and Phytonutrients. 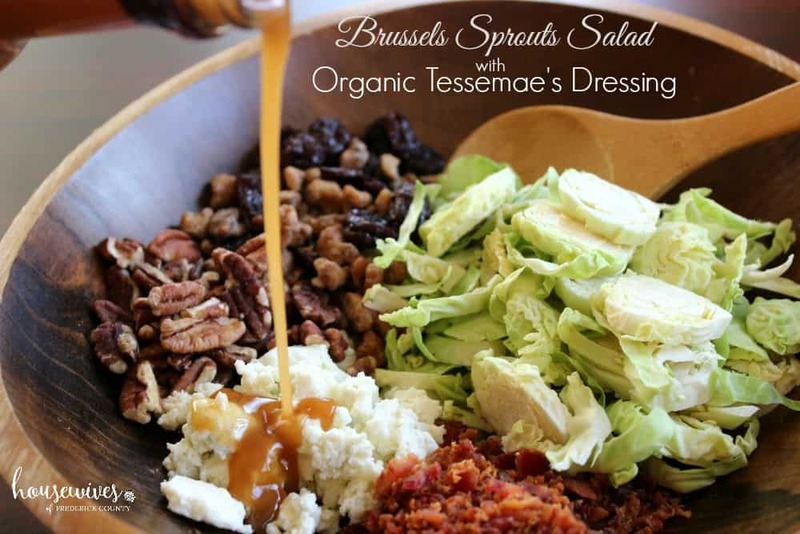 In this Brussels Sprouts Salad recipe we used Tessemae’s All Natural dressing. 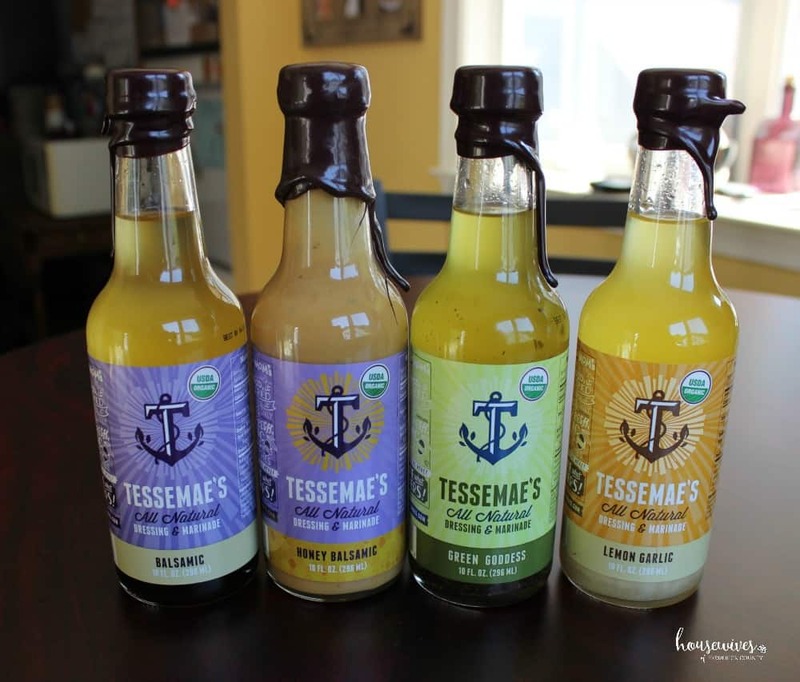 Turns out Tessemae’s dressings, marinades and condiments are certified USDA organic, gluten free, non gmo, vegan Whole30 approved and contain no added sugar, thickeners, or additives. 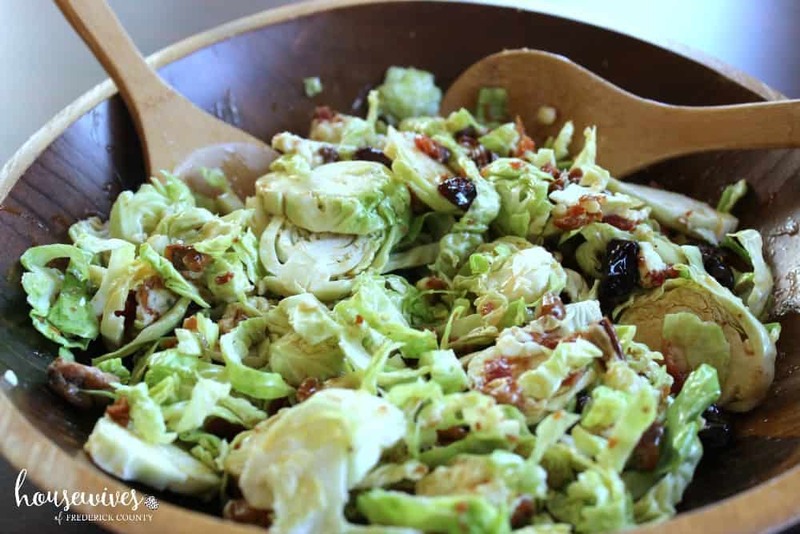 My Brussels Sprouts Salad isn’t your run-of-the-mill salad and I like it that way! Another reason why I like it is that the recipe has a very short list of ingredients and is super easy to make. BUT it packs a big punch with nutrients! Like I said, this recipe is super easy to make. 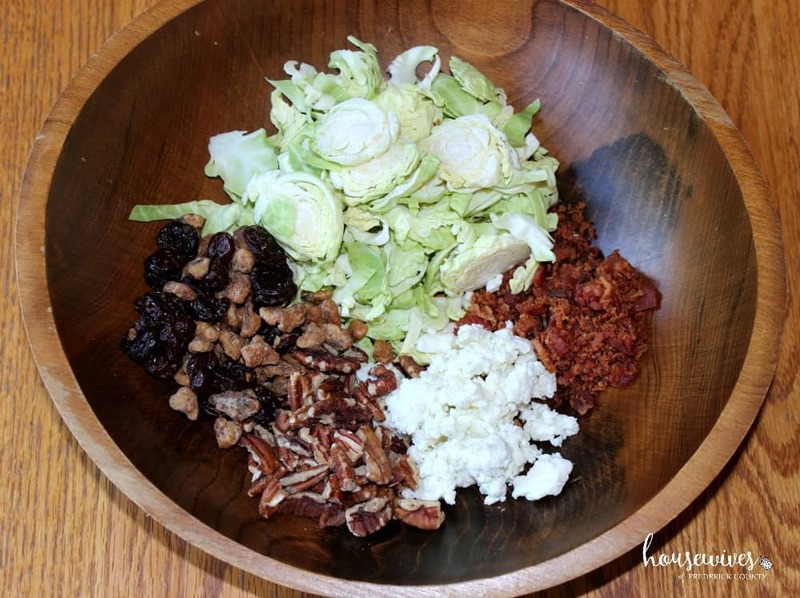 And if you buy the brussels sprouts already sliced, the bacon bits already cooked and crumbled, the blue cheese already crumbled, and the dried cherries and pecans, all you have to do is throw it all together. Also, there are many ways you can switch up the ingredients to fit your taste and dietary needs. 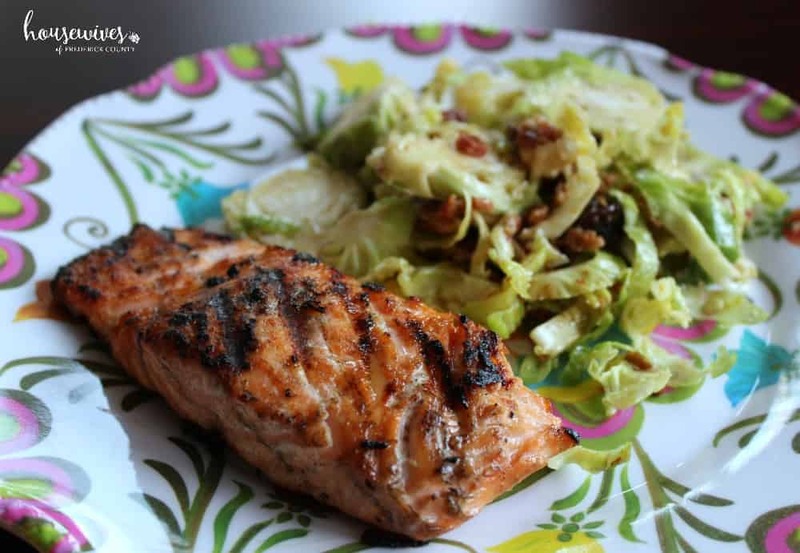 My main entree was marinated grilled salmon. And along with the brussels sprouts salad and some sliced, oven-heated italian bread, our dinner was amazing! What’s your favorite salad recipe these days? Be sure to tell us in the comments!